Steph Houghton and Carly Telford have both withdrawn from the England Women squad ahead of Tuesday's friendly against Spain due to injury. The FA said Houghton felt "mild groin pain" following the 1-0 loss to Canada on Friday and had returned to her club Manchester City, with the decision having been made to "rest her in order to manage her load" ahead of this summer's World Cup. Goalkeeper Telford sustained a concussion after clashing heads with a team-mate in training on Monday and will return to Chelsea for monitoring. 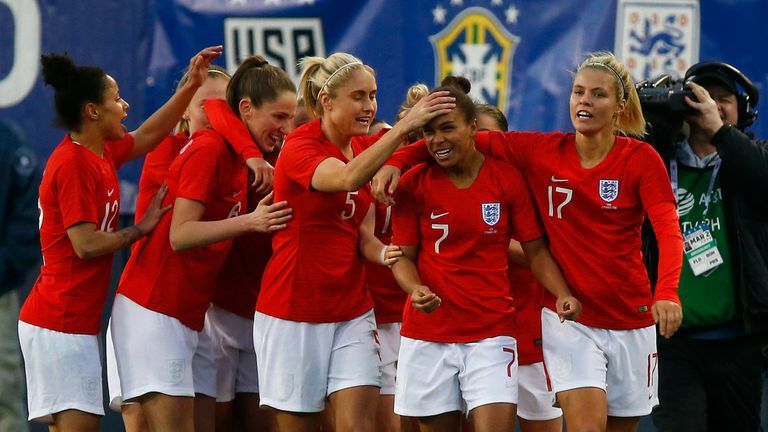 The Lionesses' match against Spain at Swindon's Energy Check County Ground continues their four 'Road to France Series' World Cup warm-up matches that started with the Canada match at the Academy Stadium in Manchester. Both Houghton and Telford face a possible race to be fit for the FA Cup semi-final between City and Chelsea on Sunday. City then have two remaining Women's Super League matches, including a potential title-decider away at leaders Arsenal on May 11. Following the conclusion of the domestic season, Phil Neville's England face Denmark and New Zealand before their opening World Cup match against Scotland on June 9. Neville: I wanted my players to suffer!